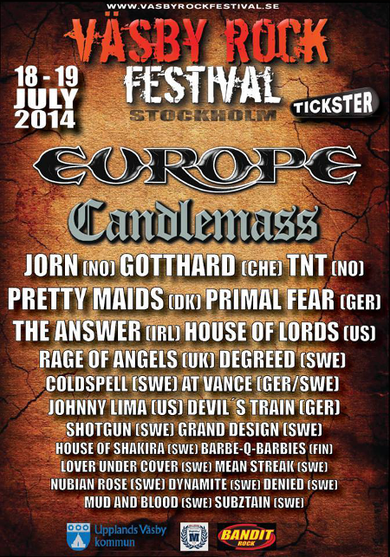 VÄSBY ROCK FESTIVAL 2014 will take place in Stockholm, Sweden on July 18th and 19th 2014. Great Swedish band we have featured on this site, such as COLDSPELL, DEGREED, GRAND DESIGN, LOVER UNDER COVER, NUBIAN ROSE and RAGE OF ANGELS will perform there. See more info on VÄSBY ROCK FESTIVAL website.